Expedia can help you save heaps with Meads Bay travel packages. With all that extra cash in the bank, you might even like to book a few extra nights. With us, you'll have more than 400 airline partners and 321,000 worldwide properties to pick from around the globe, which means your dream vacation is right at your fingertips! You never have to worry about changing your family's travel plans, as we don't charge additional cancellation fees for almost all of our bookings. Can't wait for your trip to Meads Bay? Want some advice about what to do when you're there? That's where we come in! Nothing is more relaxing than the murmur of water lapping at a shoreline. Roll out a picnic rug, lie back and let your soul be soothed at Rendezvous Bay Beach. There's a great range of things to do in and around this destination. Whether you're seeking a boat trip on the bay or just a dazzling view, you'll have a wonderful time at Barnes Bay. This arc of land and sea is sure to relax and refresh your spirit. Still have time to spare? Abandon your history books! Allow the past to come to life at Wallblake House. No matter how incredible your hotel is, don't spend your stay sealed up in your room or relaxing by the pool. There are boundless experiences to be had! Searching for something everyone can do? Why not think about trying out an Ultimate Prickly Pear and Anguilla Experience? For a comprehensive range of activities, head to our Meads Bay things to do page. 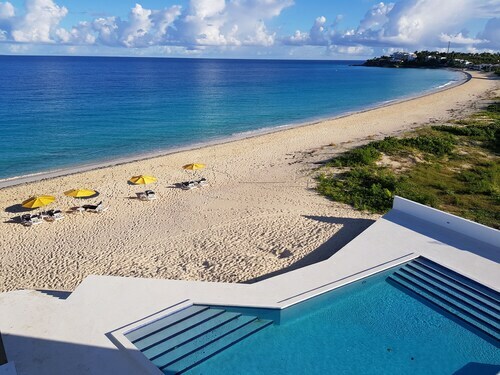 After a huge day of exploring the sights in Meads Bay, have a nap in one of 26 properties. The greatest luxury getaways and cheap vacations are just the beginning at Expedia. 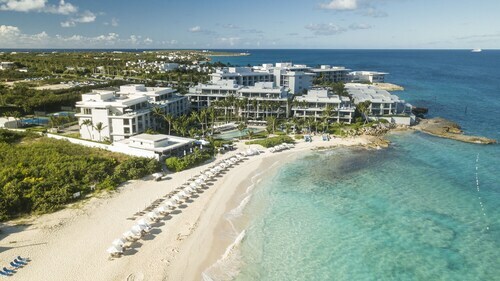 It's not every week you get to spend time away, so why not treat yourself to a few nights in a luxury room at the Four Seasons Resort and Residence Anguilla (Barnes Bay) or the CuisinArt Golf Resort & Spa (Rendezvous Bay)? With five-star service and top-notch amenities, you'll feel like a movie star! If you'd prefer to spend your cash on things like exciting adventures and wild nights out, why not look into some of our more affordable options? The Love Residence (134 Boulevard de Grand Case) and the Le Temps des Cerises Hotel Beach (158 Boulevard de Grand Case) are a couple of recommended ones. There's nothing like finally landing at Princess Juliana International Airport (SXM) after a cramped flight. Once you've retrieved your luggage and had a nice big stretch, you'll find yourself just 10 miles (16 km) from the main streets of Meads Bay. This West End Village hotel is set on the beach a short distance from Meads Bay, Devonish Art Gallery, and Maundays Bay. Also nearby are Cove Bay and Barnes Bay. With direct access to the beach, this West End Village condo building is within 1 mi (2 km) of Meads Bay, Barnes Bay, and Devonish Art Gallery. Cove Bay and Maundays Bay are also within 2 mi (3 km). 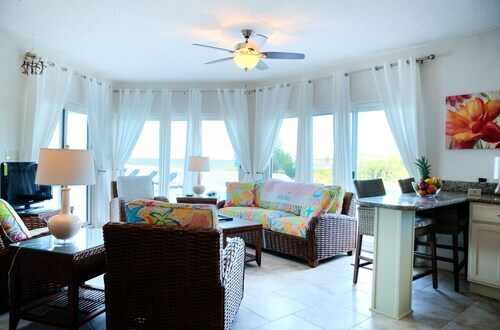 Located in West End Village, this beachfront hotel is next to a golf course and within a 5-minute walk of Cove Bay and Maundays Bay. Meads Bay and Barnes Bay are also within 2 mi (3 km). Located in West End Village, this beachfront resort is next to a golf course and within 1 mi (2 km) of Meads Bay and Devonish Art Gallery. Rendezvous Bay Beach and Cove Bay are also within 3 mi (5 km). This West End Village resort is on the beach, 4.9 mi (7.9 km) from Dolphin Discovery, and within 12 mi (20 km) of Shoal Bay Beach and Marigot Market. Fort St. Louis and Long Beach are also within 20 mi (32 km). 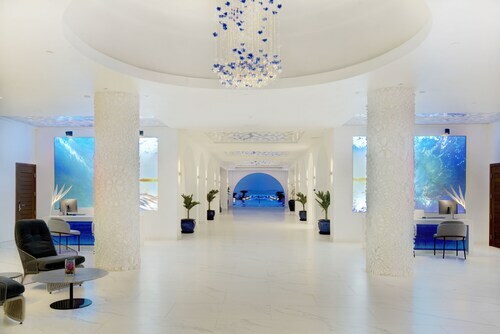 Inspired by the architecture of the Greek island, Mykonos, this dazzling resort is located on Rendezvous Bay, rimmed by a white, sugar-sand beach. 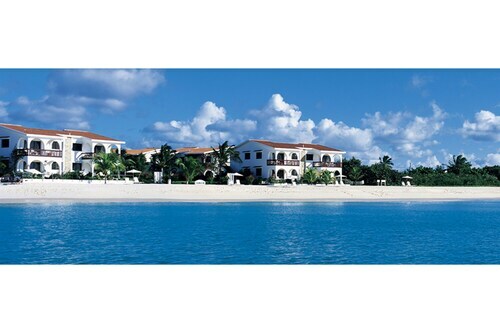 Nestled on the beach, this West End Village hotel is within 1 mi (2 km) of Meads Bay and Devonish Art Gallery. Barnes Bay and Maundays Bay are also within 2 mi (3 km). 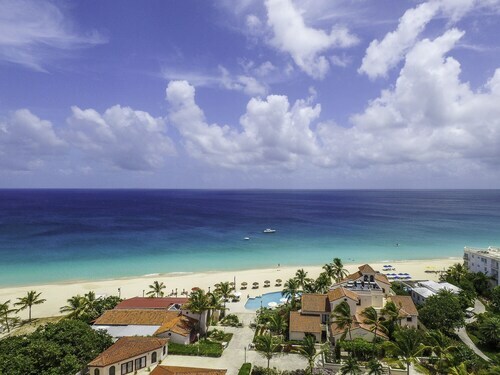 Situated in West End Village, this condo resort is within 1 mi (2 km) of Meads Bay, Devonish Art Gallery, and Barnes Bay. Cove Bay and Maundays Bay are also within 2 mi (3 km).